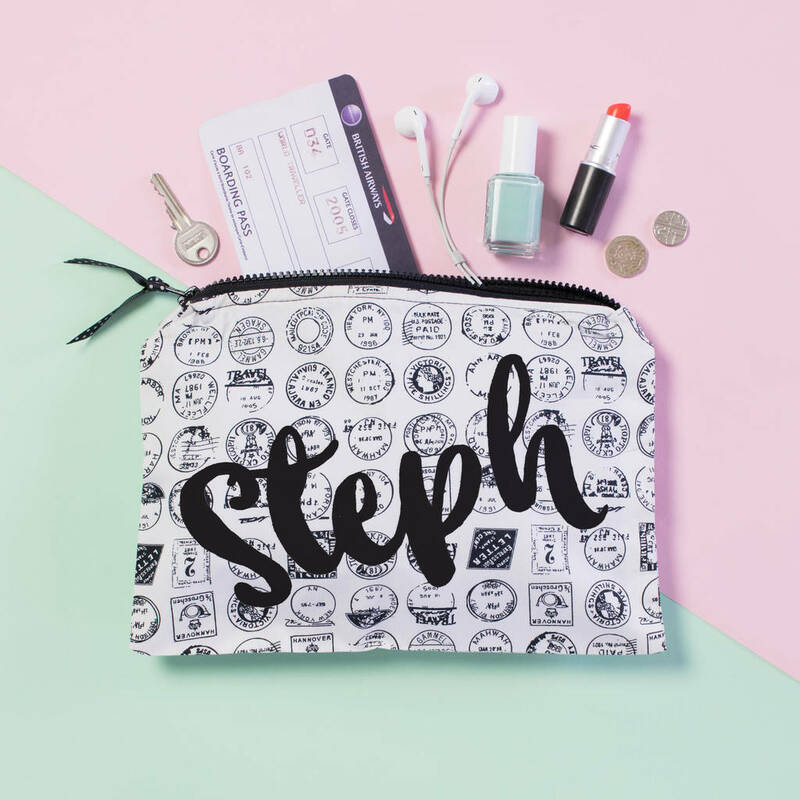 A handmade travel accessory pouch that is personalised on the outside in flock with the recipients name or a word of your choice. 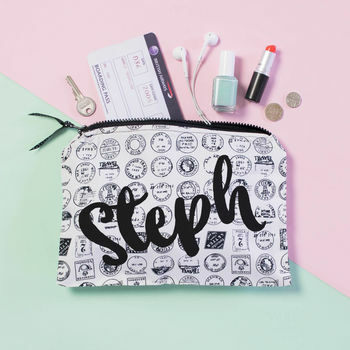 This pouch has taken inspitation from one of my best friends who is off travelling the world: I wanted something she could pop all of her important travel items in. 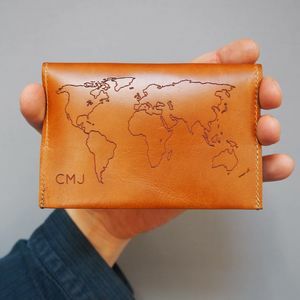 A unique handmade pouch made out of monochrome black and white passport stamp material. 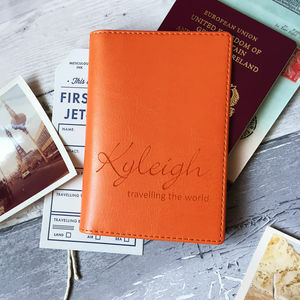 It will make the perfect present for the traveller or holiday-er or even a lovely present for yourself. Each bag is personalised with the recipents name in a gorgeous joined up font. The shorter the name the larger it will appear on the bag. This bag is totally unqiue and handmade, meaning each one will vary slightly with regards to where the map pattern appears. The wording on the bag is available in a few different colours: pink, white, yellow, orange, green or dark blue. The colour is availble to choose when ordering in a drop down menu. The pouch is lined in a blue fabric giving it a pop of colour when you open it, then finished off with a ribbon on the zip. The wording is printed in flock and is soft to touch and is very much like velvet. The flock is hand pressed onto the pouch. 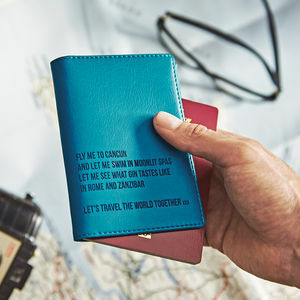 There is also an option to have a secret message printed on the inside, such as 'LOVE JESS' or 'WHERE NEXT?'. 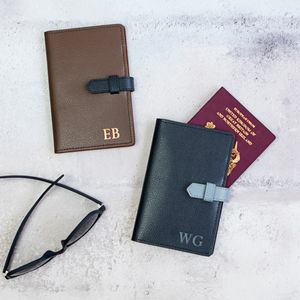 This message is hand pressed in black and gives the pouch an extra touch of personalisation. This is available as an added extra - it will not be added unless it is selected in the drop down menu on the right for an extra small fee. The two worded message can then be written in the box provided underneath.